Optimize your web presence for organic search. We develop a content strategy and deploy it throughout your website, directories, and any other web entities you own. We offer services that get you up to par with your competitors. 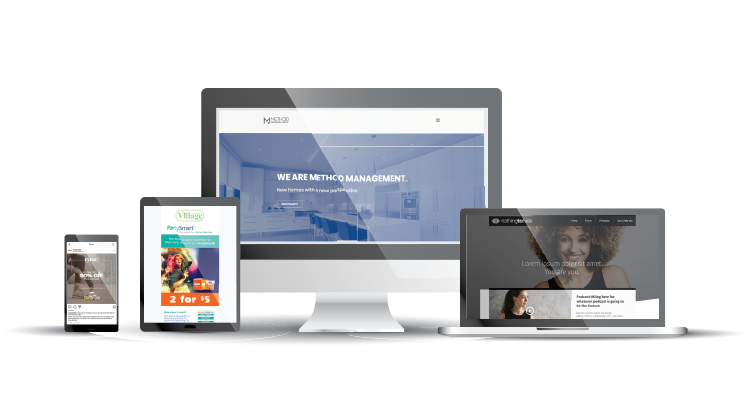 At Creo, we design and develop websites to fit your business needs. From templated websites to fully customized software, the possibilities are endless. We work with you to determine what your existing and future business goals will require. A uniform brand tone is vital to keep internal and external clients on the same page. Let us help you clearly communicate your vision, mission and values to your clients. Creo Group will help design and develop assets to help you keep your communications on brand. Need help finding your brand’s tone on social media? We can help develop everything from audiences to which emoji to use. Our team of strategists are experienced in developing communications for products and services. We breakdown of your paid marketing accounts and provide an actionable report on how to improve. Our initial consultation will uncover your goals and objectives so that we can best provide feedback. A complete marketing and lead generation audit. We break down your marketing channels, website, lead capturing process and qualification processes. Finally, we will create a detailed report with actionable insights. We create stunning in-store collateral to get your customers existed about buying. A beautifully crafted poster or shelf talker can be the difference between buying your product or picking another options in a sea of shelves. We design a wide variety of outdoor signage to get your brand noticed. Our marketing and graphic team work in tandem to develop a final product that is visually appealing, on brand, and makes your competition envious. A well designed product package can get your products moving. Creo Group can spruce up your existing labels or help create a new tone around your products. We help get products selling as well as making them memorablle. All logos, branding and content are property of their respective company.